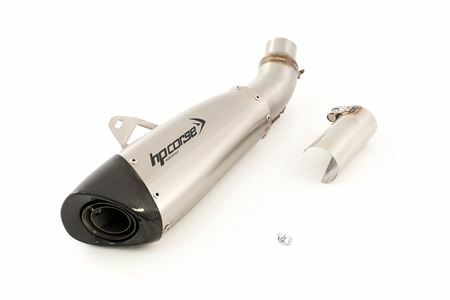 HYDROFORM CLASSIC LINE was born specifically for this DUCATI project and it is new thanks to a magnificent stainless steel COVER with three lightening holes with variable diameter. The HP CORSE laser logo is on le cover. 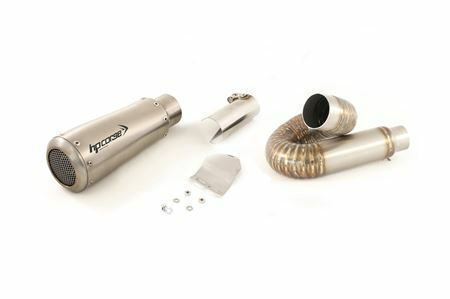 The HYDROFORM exhaust is E3 cap.9 approved for acoustic emissions with removable db-killer. The anchorage system of the terminal to the bike is also new with internal bracket painted in black with a "disappeared" effect. 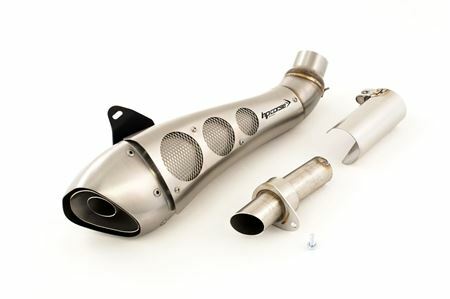 GP-07 LINE is pure sportiness, a short and compact exhaust with an aggressive and essential line. A product designed to meet the needs of the custumer who is looking for strong emotions. GP-07 is available in satin stainless steel and black stainless steel and two types of fittings that fit both on the original manifolds: a @ fitting and short fitting.E3 cap.9 approved for acoustic emissions with removable db-killer and HP Corse lasr logo. 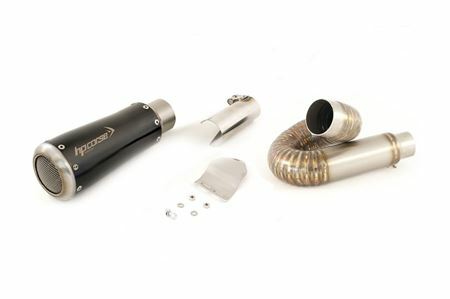 EVOXTREME LINE has a race character, a tapered body with a carbon-fiber "slash-cut" end cap. 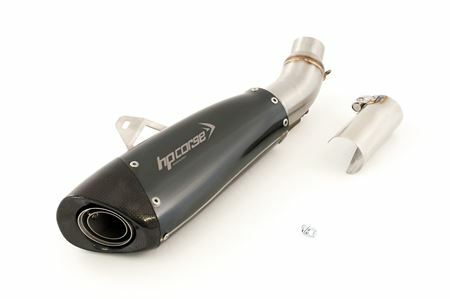 Available with two surface finishes, satin and black, E3 cap.9 approved for acoustic emissions with removable db-killer and HP Corse lasr logo. 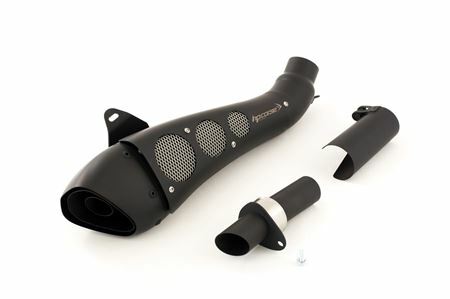 All the mufflers have a slip-on fitting with conical cover for a very unique aesthetic effect.